Hello my Lovelies. So I have done a little bit of shopping yesterday. Now I would at this point try make up an excuse to why I went shopping and today it would be "its my birthday on friday so its a birthday pressy to my self" but seriously I actully have a reason for these shopping bags. 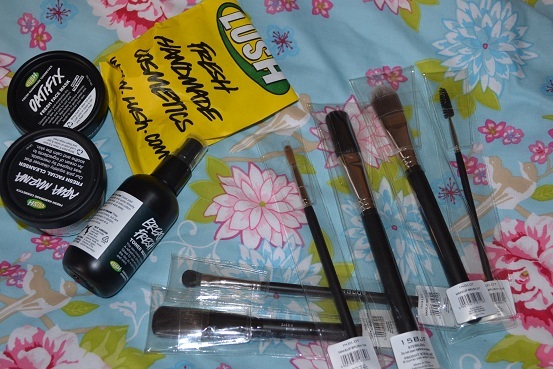 So as you may be able to tell, I went to lush and Inglot and did a little bit of damage to the bank. Now the reason I went to lush is because i'm in desperate need of a new skin care ruteen as to tell the honest truth, I have not used skin care in about 3 weeks "OHH MY GOD" this is because my stupid skin had a huge reaction to clineque the only skin care I had found that worked for me. 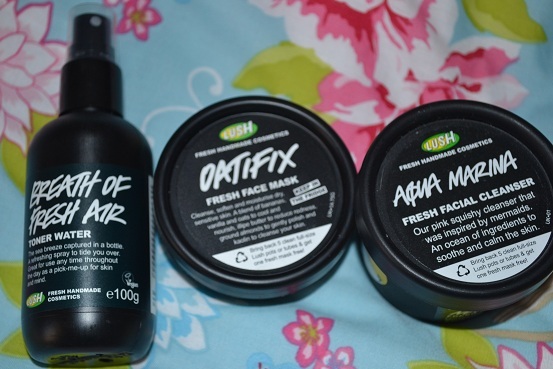 so i'm going to try lush skin care. 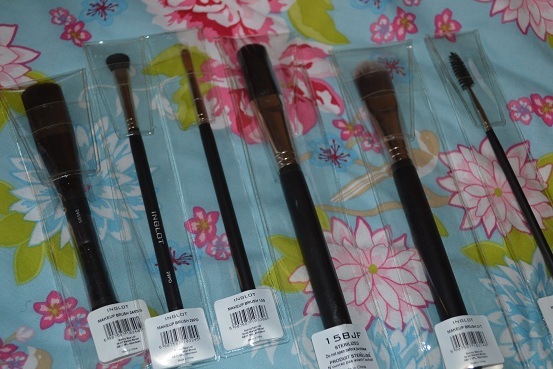 I went to inglot and bought 6 brushes because ... I now work for inglot. I'm now one of inglots makeup artists and we have to buy out own brushes so this is the first lode of brushes I have bought. First off is Inglot now before I tell you what brushes I got I would just like to say, RIP Wojciech Inglot, the owner of inglot sadly passed away on Saturday he was only 57 years old. So the brushes that I picked up this time are some basic ones. now after I got out the shop I thought ohh no I forgot lip brush and blending brush but I will get them next week when I go in for training. 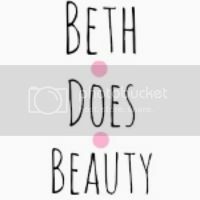 - 15BJF this brush is a powder/blush brush its a dupe for the MAC 129. - 24SSS This is a double ended brush. 1 side is perfect for contouring and the other for blush. - 14M This is just a brow/ lash brush. 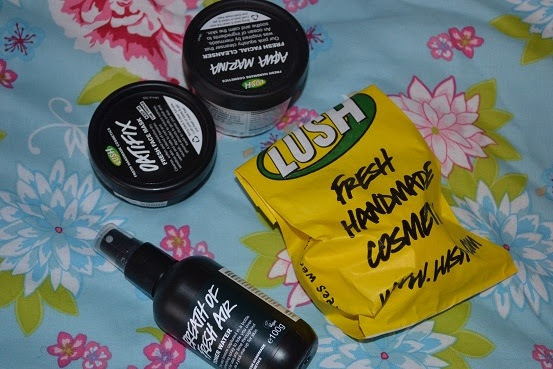 From lush I got my skin care and one item that I love from the easter collection. 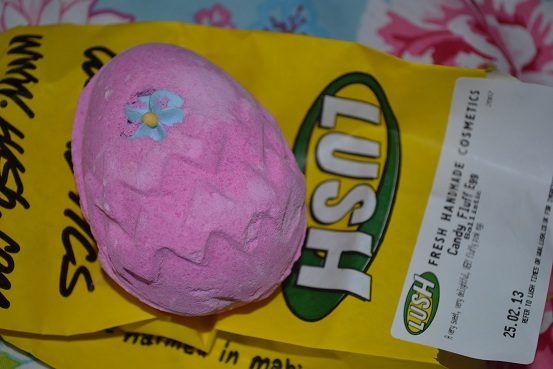 - Fluffy egg Bath balistic, This is one of my favorites from lush and i'm going to need to stock up on them before they take them away again. - Breath of Fresh air toner, I just picked this one as I liked the sound of it online. - Aqua Marine cleanser, I herd this is grate for dry skin. - Oatifix, My friend who is like family to me always raves about this mask. 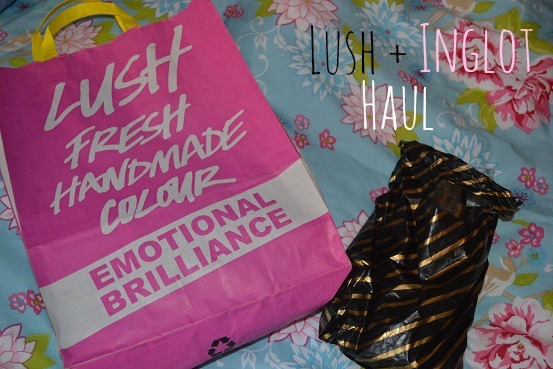 Reviews to come on all my lush goodies soon. Hope you enjoyed this haul. Make sure to enter my giveaway. 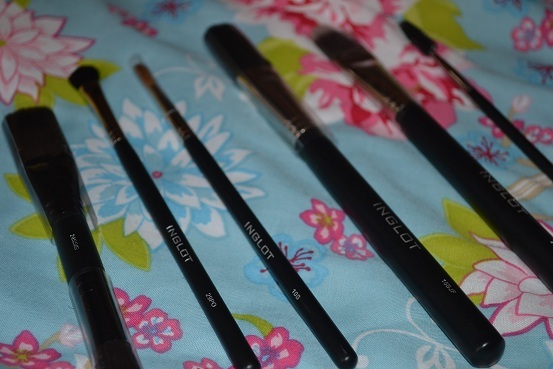 I like the look of the inglot brushes!